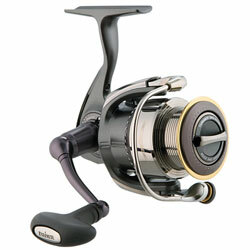 "Since Shimano decided not to be a part of the reel trade in at Bass Pro Shops I ended up buying a Steez over the Stella. The Steez to date has perfomed with excellence I have not had with 3 previous model Stella's, and for the price difference V/S perfromance I may never again buy a Shimano product." "I have alot of Daiwa spinning reels from the Theory to the Certate and now I have added the Steez to my collection. By far this is the best reel that they have come out with in a long time. It is light weight and very smooth." "What a beautiful reel....but you already know that! I've had this for nearly a year now & is my "go-to" reel for just about any application, especially grubs & Senkos." "I purchased a steez 2500 spinning reel this year and i am very impressed with it. The quality of this reel is by far the best i have ever used. This reel is smooth, light, strong."